The IBA Rules are the most common feature of international arbitration around the world, yet so far little work has been done exploring the Rules themselves. 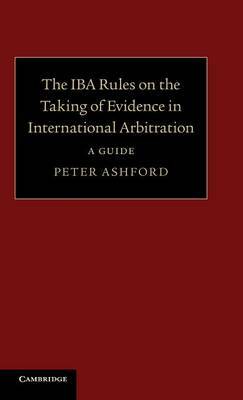 In this practical guide, Peter Ashford combines a detailed discussion of the Rules and the commentary from the Drafting Committee with a tabular view of the interaction between the Rules and those of the main arbitration institutions. Written by a respected and experienced arbitration practitioner, the guide conveniently brings into one place materials that will assist in the practical application of the IBA Rules. This contribution to an under-covered area of international arbitration provides an invaluable handbook for arbitration practitioners in law firms, chambers, and general or in-house counsel in large corporations.